November Issue # 024 - Best Fitness Trackers - What features are you looking for? Fitness trackers (also known as sports watches) are becoming extremely popular. If you want to move more, sleep better, and improve your overall health, fitness trackers can help. They can also make a great gift for someone you care about on any holiday or special occasion. 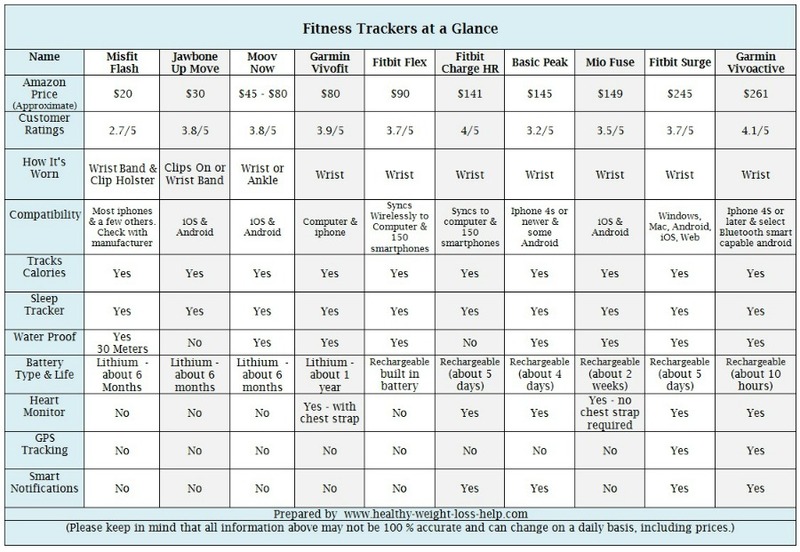 We have collected information on the most popular fitness trackers and placed it in an easy to read table for your review and for your convenience. This will hopefully make selecting one much easier. Depending on the make, model and cost they are able to offer quite an abundance of information. Offers thin display with high resolution and color screen. Tracks running, biking, swimming, golfing and other activities. Smartphone friendly, as it will alert you of incoming calls, texts and emails and more. There are many fitness trackers to choose from and the best way to choose the right one is by doing a fair amount of research before making a purchase. One great way of getting more information is by going through the customer reviews on Amazon. It takes some time to filter through all the reviews but they offer a plethora of information. Of course we know that fitness trackers are still relatively new to the market and still have plenty of room for improvement. Manufacturers are doing a great job with improving their products with higher accuracy and more functions on a daily basis. Who knows what the future will bring. For now these trackers offer a wide variety of choice and price to get you into the swing of things.